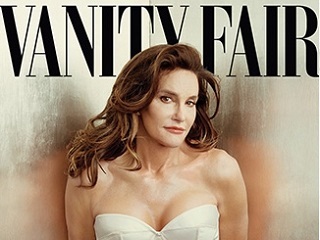 The Caitlyn option is, so far, a Midtown bust. Employees at the store said they’d yet to sell one. Maybe some enterprising Oct. 31 adult party folk will add a transgender streak to the number one U.S. adult Halloween costume for 11 years running. According to the National Retail Federation, that would be the witch costume. The chain — the largest specialty Halloween retailer in the country, owned by mall stalwart Spencer Gifts — reports that their $49.99 ‘Caitlyn corset and wig set’ is among the four top sellers for adults this season as of Friday, the day before the holiday. The three other bestsellers for 2015: Harley Quinn, their homage to the DC Comics villainess; Day of the Dead themed outfits and masks; and Twisted Clown, their version of the (frankly terrifying) ‘American Horror Story’ character.